Anyone can retire. The trick is to enjoy retirement, and that means having enough money. 1. Not having a plan. It’s frightening how many people don’t figure out how much yearly income they’ll need, or how much their annual expenses will be. The first step in figuring out how much you’ll need is to make a budget. The first attempt should be years before you retire. Then fine-tune it as you approach retirement. When you make a budget, be honest with yourself. Not being realistic is another big mistake that people make. 2. Ignoring health costs. A 65-year-old couple will need $220,000 to pay medical and drug bills in retirement. (If a couple has made it this far, expect another 25+ years of medical expenses that rise with age. Most people budget for only a fraction of what they’ll need. That can wreck your finances in later years. 3. Excess concentration. Because of company stock, many people — especially executives — end up with up to 50% of their portfolio in a single asset. That’s too risky. Starting five years before retirement, start to trim that. Your goal should be no more than 5% to 10% in any one stock. Many people in our industry don’t see this specific problem but are nonetheless concentrated in one asset (i.e. the 401(k) plan is it for retirement or a paid-for home is the only equity they have). 5. Not updating estate documents. Make sure you’ve named the current beneficiaries you want on everything from retirement accounts to bank accounts and in wills, trusts as well as insurance policies. Be sure assets will pass to loved ones you intend now, not the ones you intended 10 or 20 years ago, especially if there’s been a life event such as divorce. Do you really want the courts to decide this for you? 6. Overlooking retirement account rules. 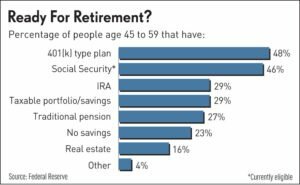 The year after you turn 70- ½ you must begin withdrawals from a regular IRA and from a 401(k) account at any company where you no longer work. If you fail to start payouts, you risk being hit with a penalty of 50% on the amount you were supposed to withdraw. Once you take the money out, you’ll also have to pay income tax on it. 7. Mishandling rollovers. If you move money from, say, a 401(k) into an IRA, let the financial institutions make the shift (back-office to back-office). Otherwise, you risk creating a taxable withdrawal, and possibly penalties for an early withdrawal. 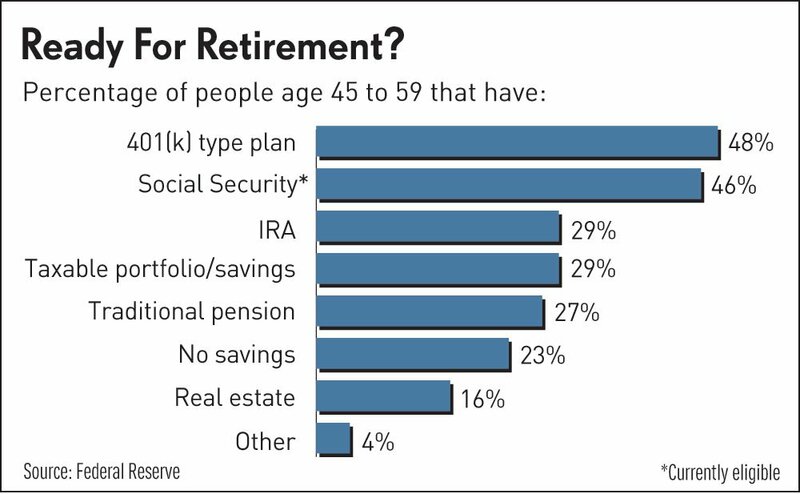 One big takeaway is that many Americans are saving far too little for their retirement. And many of those individuals, who are saving, are making costly errors. We can help you get ready.